The family farm lies at the heart of our national identity, and yet its future is in peril. Rick Hammond grew up on a farm, and for forty years he has raised cattle and crops on his wife's fifth-generation homestead in Nebraska, in hopes of passing it on to their four children. But as the handoff nears, their small family farm-and their entire way of life-are under siege. Beyond the threat posed by rising corporate ownership of land and livestock, the Hammonds are confronted by encroaching pipelines, groundwater depletion, climate change, the fickle demands of the marketplace, and shifting trade policies. 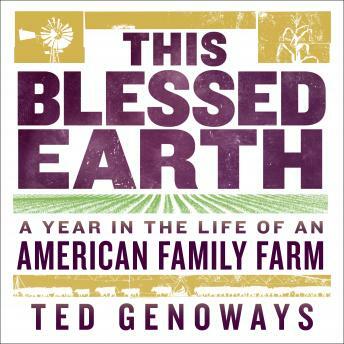 Following the Hammonds from harvest to harvest, Ted Genoways explores the rapidly changing world of small, traditional farming operations. He creates a vivid and nuanced portrait of a radically new landscape and one family's fight to preserve their legacy and the life they love.